1. Place graham crackers in large Ziploc bag. Seal bag tightly and roll over with rolling pin until graham crackers are crushed finely. You could also do this in a food processor. (I didn’t want to dirty any kitchen gadgets.) Set aside. 2. Place marshmallows in a large bowl. Set aside. Spread out a sheet of wax paper on a baking sheet. Set aside. 3. 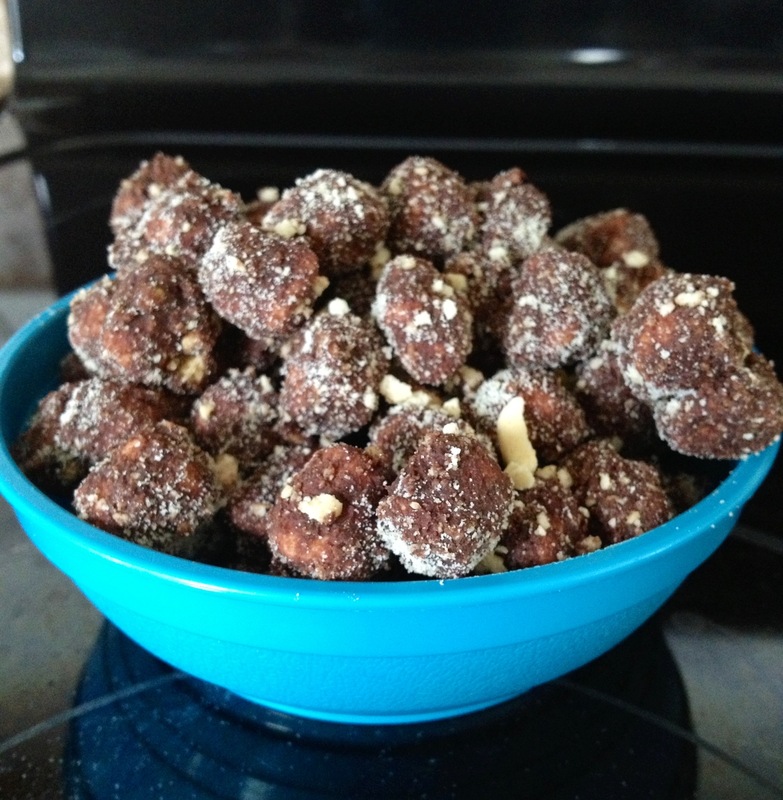 In a microwave safe bowl, add chocolate chips and shortening. Microwave in 30 second increments at 50% power, stirring in between each time, until chocolate chips and shortening are melted and smooth. 4. Pour melted chocolate over marshmallows. Stir until all marshmallows are evenly coated. Pour 1/2 of the crushed graham crackers over marshmallows. Toss with your hands to coat. 5. Spread coated marshmallows into a single layer onto prepared wax paper. Sprinkle remaining crushed graham crackers onto marshmallows. Place in s’more bites in refrigerator until chocolate is set. 6. Transfer to a sealed air-tight container. Store in refrigerator.